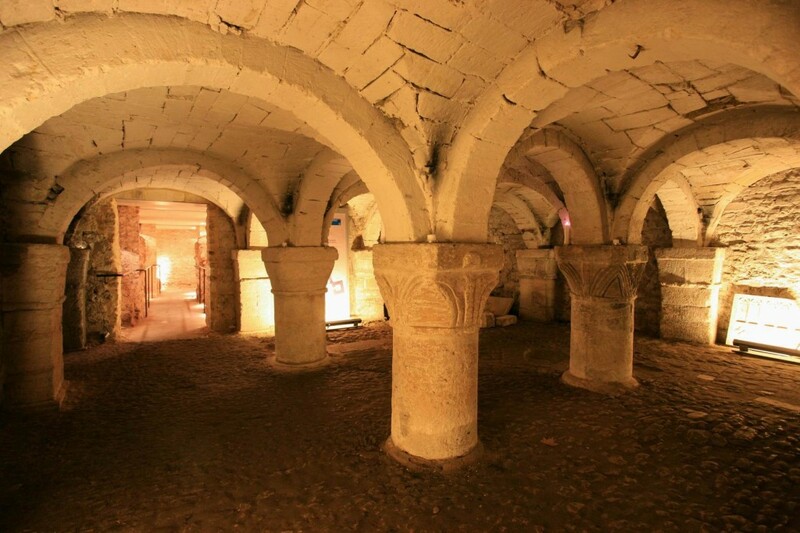 About five minutes into our attempted séance in the crypt at Oxford Castle, as the giggles calmed down and we fell silent, it occurred to me that I really did want to experience the paranormal. I wanted to be really, properly spooked. You might think that’s fairly obvious; I mean, who bothers joining a ghost hunt if they don’t want something to happen? But, up until that point, I’d been going along with the general mood of the group: a confident scepticism about the whole thing. We’d all got a bit merry in The Eagle and Child over dinner, and then joked and joshed our way to the castle and down to the crypt. It was only now, standing in a circle in the dark and quiet, asking for spirits to make themselves known, that I realised I wasn’t blasé about this at all. I bloody well wanted a ghost to make itself known. 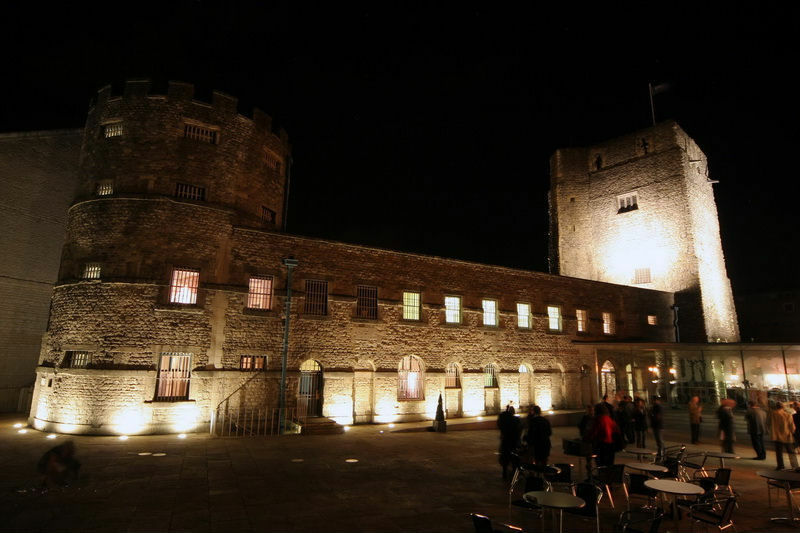 If anywhere was going to “produce” – this is the word used by the ghost hunting world – Oxford Castle was, associated as it has been for centuries with crime, incarceration, disease and death. Built in 1071 by a Norman baron, the castle came into use as a gaol from the 12th century, becoming a formal county gaol in 1531. By the 17th century, conditions in the gaol had become unsanitary, treatment of prisoners brutal, with frequent beatings, and living prisoners had to step over the decomposing dead. There were 56 public executions at Oxford Castle in the 18th century, after which time the prison adopted a new emphasis on treating crime as a disease to be corrected through incarceration and, by the Victorian era, hard labour. Hangings occurred up until 1952, and it was an active prison until 1996, albeit a much gentler institution latterly. 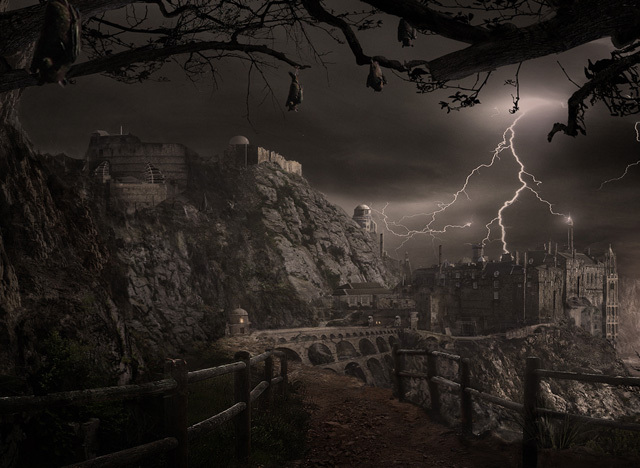 With that sort of timeline to its name, Oxford Castle might be forgiven for producing a few ghosts. Who you gonna call… Haunted Happenings, naturally. Ghost hunters, rather than busters, these chaps aren’t in the business of scaring away spirits; they want to coax them into some sort of interaction with the living. They take groups to this castle often, when they’re not busy exploring asylums, mansions and other places of that ilk around England. Our guys, Wayne and Craig, had seen and heard plenty of spooky things in various spots around the castle, including in the 900-year-old crypt, where we now stood, holding hands. There is said to be a ghost here of a 12th century monk and that people have felt him pulling their hair. Bring it on, I thought. The atmosphere was right for it, totally: complete darkness, bar the little green light given off by a machine that detects disruptions in electromagnetic fields (thought to have some connection with the presence of spirits); a very cold night; the social tension of holding hands having only known each other a matter of hours; the awareness of the grim history of the ground on which we stood. We did all the right things. We asked nicely (“If there are any spirits around us, please do something to show us you’re here”) and we waited, and we asked again, and we waited. There were various negligible happenings: some unexplained cold air felt by a couple of us, not me; a sort of tapping noise a couple of times. Hmm, nothing’s really happening. Perhaps a Ouija board might tease them out? So along we went into the old cells of the castle, now split off in two groups, each with a Ouija board, a table and a glass. 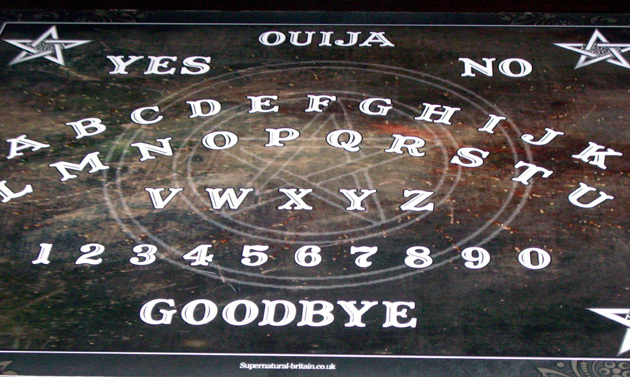 I’d never tried a Ouija board before, and I had always wanted to, so this was exciting – despite my overriding feeling that if a ghost was going to make itself known, wouldn’t it just do so in whatever way it wanted, rather than waiting for a bunch of people to stand around a board with letters printed on it? Nothing happened at the Ouija board, sadly. The strongest feeling I experienced was one of serious temptation just to move the damn glass across the board myself and give everyone else a bit of a thrill. But I resisted, and so did they all. And still, after an hour standing around the board, I wanted something to spook me. I was waiting for the big shock, the big moment, the big something, anything. But, no. The Ouija board failed to produce. We all headed back to the crypt to join back up as a whole group and have another go at the séance. It all got a bit desperate quite quickly (“We’ve come a long way, please do something, anything!”), and we decided to call it a night after realising that a bright light on the wall was not, in fact, an illumination from the beyond – it’s finally happening!! – but rather someone’s pocket torch which had been flicked on by mistake. A good moment to call it quits on the ghost hunt. Time for hot chocolate and bed. 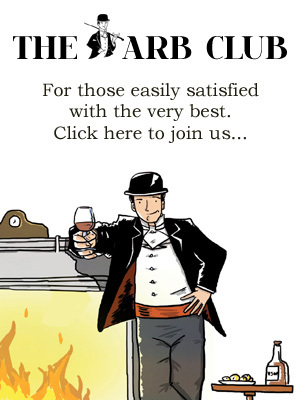 In the bar at the Malmaison Hotel, warming up and chuckling about the experience, I felt bereft of the paranormal activity I’d hoped for, and half expected. It had been fun trying, and we’d had a laugh while we were at it, but I must say I was disappointed. That was until I set off to find my room for the night. The Malmaison Oxford is a stunning thing to behold. It’s a very clever conversion – an “adaptive reuse”, I believe they call it – of the parts of the castle that were used as HM Prison Oxford until the mid-1990s. Deemed unfit for purpose, the prison was closed and gradually regenerated to include this incredibly gorgeous luxury hotel. Malmaison is well known for creating hotels on unusual sites – the former Royal Mail sorting office in Birmingham, for example. But, the Oxford Mal is something else. Stepping into the atrium, the A wing, with its original staircases and walkways, I was chilled, and found myself just standing there, agog. And opening the original cell door into my room, away from the giggling group of cynics in the crypt and the electromagnetic field readers, I felt more spooked than at any point during the ghost hunt. I closed the door behind me and looked around. The rooms are beautiful, but they’re each made from three old prison cells that were home to miserable, incarcerated people. The cell windows that are slightly too high to look out of are still there. I still haven’t decided if I’m comfortable with this particular adaptive reuse. The language used on the website makes fun of this history, and turns it into a sort of fairground (“this time you’re going to the slammer in style”) – which is all quite funny, until you really think about it. This is a site of hundreds of years of sadness and death. Is it respectful to create luxury from horror? All of a sudden, the idea of pleading with ghosts to make themselves known seemed absurd. I realised that the castle, the Malmaison Hotel and the grounds around it are utterly crammed with silent spirits. They don’t need to get a message to you through a Ouija board or pull your hair; their history screams through the site, once you stop and listen for it. It’s there in cell walls, the windows, on the staircases you’re not allowed to use. The whole place is thick with stories. I understand the appeal of ghost hunting and I’m glad I’ve had a go. It’s a bit of a kick to try tapping into the unknown in a controlled setting. But it turned out I didn’t need a ghost hunt to get my scare. I got it once I was standing quietly in the dark in an incredibly gorgeous hotel room made from original gaol cells, once I closed my eyes and tried to go to sleep, thinking about all the prisoners who’d lived and died right there. England’s grisly history is chilling enough, without it having to creep up and blow on your face. Oxford Castle Unlocked gives visitors the opportunity to learn about the real people who lived and died throughout the site’s turbulent past. It’s open daily from 10am to 5.30pm. Visit the website. 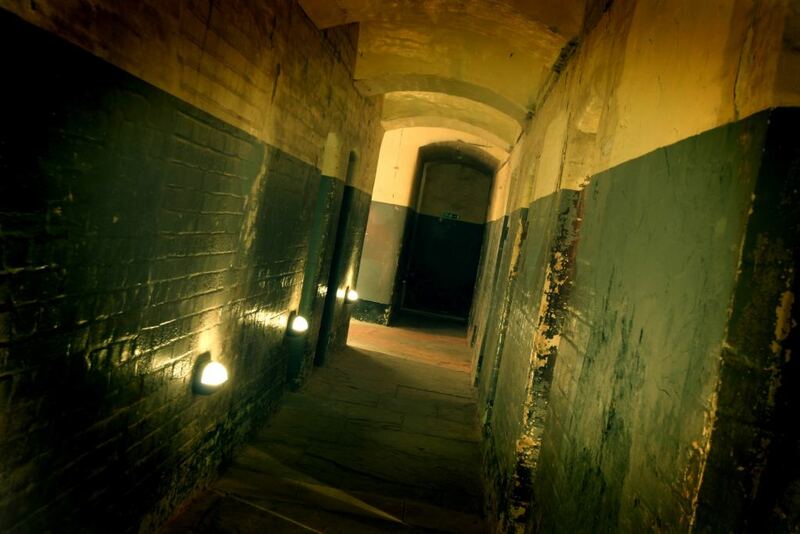 Haunted Happenings organises private and public ghost hunts in some of the UK’s most haunted buildings. Website. Malmaison, Oxford Castle, 3 New Road, Oxford OX1 1AY. Tel: 084469 3065. Website.